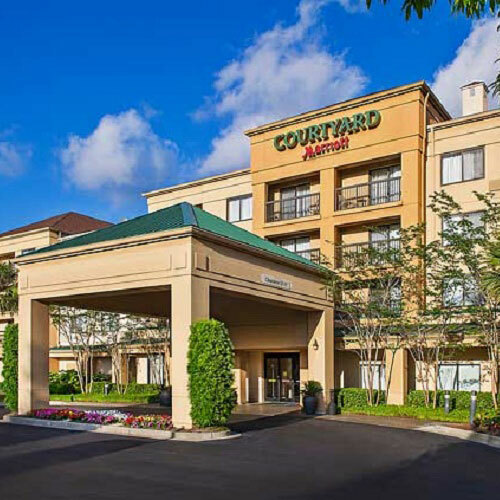 Featuring Marriott's latest decor package, the hotel is convenient to the airport, coliseum, mall and multiplex theater. Large rooms and open suites are offered here and all have comfortable seating. Smoke free premises. 123 units. 4 stories, interior corridors. Accessibility (Call). I-26 exit 213 westbound; exit 213B eastbound, just n. Adjacent to North Charleston City Hall. 2415 Mall Dr 29406.
refrigerators, coffeemakers, pay movies, wireless Internet. Some: microwaves.